On Star Treatment, Wovenhand prime mover David Eugene Edwards locates the shared space between Native American and Middle Eastern modes, with an exciting exploration of spirituality and music that draws Montana close to Mesopotamia. It’s a music parched in desert sun, lost in forest gloom, abandoned on endless prairies: land and elements dominate the imagery which Edwards declaims with stern, religiose intensity, against arrangements ranging from the Gun Club-style gothic rockabilly of “The Hired Hand” to the abstract avalanche of drums and guitars harking, in “Swaying Reed”, to the Tigris. Elsewhere, the dense, droning weave of guitars in “Crook And Flail” and “Golden Blossom” recalls The Byrds, Popol Vuh and Tuareg desert-blues. At its best, it’s quite thrilling: the galloping drums and strident guitar clangour of “Come Brave” perfectly evokes its Indian imagery, while “All Your Waves” develops a mysterious, tsunami-like power all its own. Majestic stuff. I "experienced" Wovenhand for the first time at a Tool concert in St.Charles Missouri. It was an experience unlike anything that I've encountered thus far. From the time they took the stage and David began speaking in German (I think), the music started and it was unlike anything that I've ever heard. Frankly, at first I wasn't sure if I liked it or even understood it for that matter. But oddly, there was one thing that I was sure of, I was captivated and entranced, I could not take my eyes off of this person. He sat on a stool, one bandana around his head, and one around his leg and played music that wasn't from any particular genre, or any particular time. It was fascinating. I left the show that night and within a few days I was listening to everything that I could get my hands on. 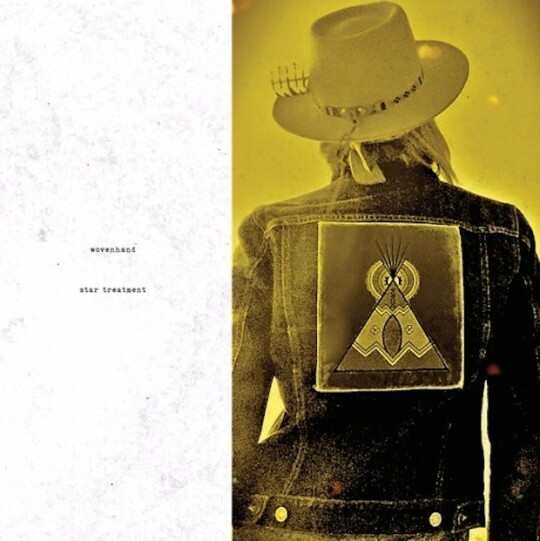 Wovenhand [David Eugene Edwards] is a band that is truly unforgettable. His style and subject matter are elements that not only are meant to be heard but experienced. I look forward to every album that is released and to every opportunity to see them [him] live. Regretfully, I don't believe that they have been back to the St. Louis area since that one incredible night. Thank you for sharing this magical and incredible music.